On 25 September, the UN General Assembly adopted the 2030 Agenda, an action plan for the people, the planet and prosperity. At the same time as the Agenda, 17 Sustainable Development Goals (SDGs) were adopted to address the major social, economic and environmental challenges facing humanity by 2030. Only at second glance a further decisive innovation in these goals becomes clear: they deal for the first time with the topic of inclusion. For example, the objective "Ensuring inclusive, equal and high-quality education and promoting opportunities for lifelong learning for all" and the objective "Inclusive, safe, resilient and sustainable design of cities and settlements" now also include people with disabilities. Organisations such as bezev have been fighting for a long time for inclusion in the global sustainability goals and we consider it a great success that people with disabilities have been explicitly included in the 2030 Agenda. 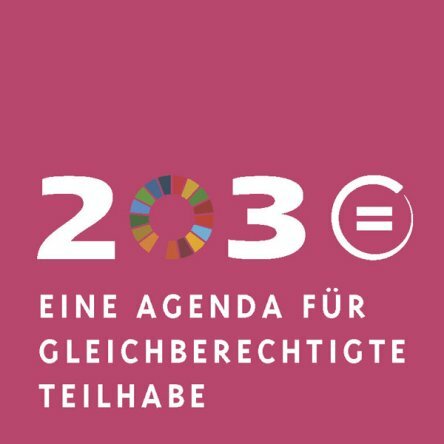 At the same time, however, this can also be seen as a stage victory: the implementation of the Agenda and its goals in particular poses major challenges - for our society here in Germany and for all people worldwide. From 7-13 February 2018, the ninth World Urban Forum took place in Kuala Lumpur. This meeting focused on the implementation of the New Urban Agenda, which was adopted at the Habitat III Conference 2016 in Quito and is intended to make a concrete contribution to the implementation of sustainability goal 11. Online consultation "What should tomorrow's world look like?" bezev carried out an online consultation in November 2013 to find out what the participants thought an inclusive future should look like. The focus was on the questions of which barriers have to be overcome in the future and which topics are particularly important for the future. The participants see barriers as the most important obstacle for an inclusive world of tomorrow. Only a world without barriers is fit for the future. Post2015 - What should tomorrow's world look like? The deadline for the Millennium Development Goals (MDGs) expired in 2015. Discussions on how to proceed with the MDGs after 2015 (post-2015 debate) had already begun. These include questions such as how: What will tomorrow's world look like? Which topics will be important in the future? How can I exert personal influence?